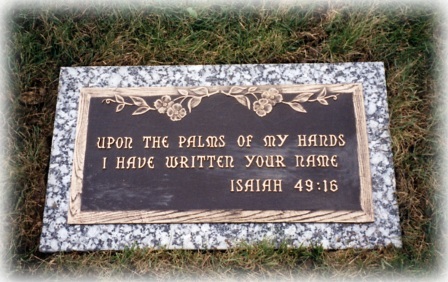 In cooperation with Des Moines area hospitals, Hamilton's Academy of Grief and Loss offers our facilities for cremation and memorial services for families who have lost a baby prior to 20 weeks gestation. This program was started by Mercy Hospital Medical Center in April 1990, as a way to recognize and honor the lives of these tiny babies. Iowa Lutheran Hospital began offering this program in January 1993. Since then, Iowa Methodist Medical Center and Broadlawns Medical Center have also joined us in this special program. Families who choose to be a part of this very special program are invited to attend a Memorial Service, honoring the life of their child. For each service, Flowers by Anthony donates a vase of white roses, to be given to each family attending the service. Pastoral care staff from the participating hospitals, along with Hamilton’s staff, conduct the short service. 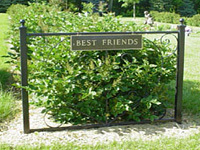 The memorial service takes place at least once a year, and the burial service takes place once every several years at Highland Memory Gardens Cemetery in the “Best Friends” section.